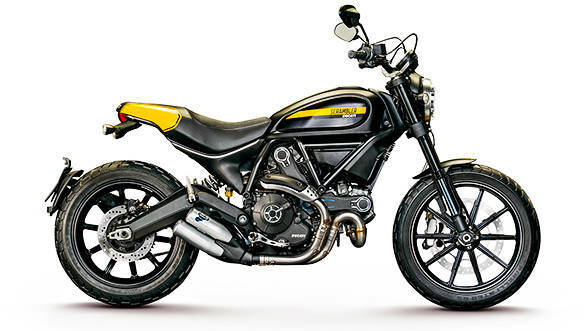 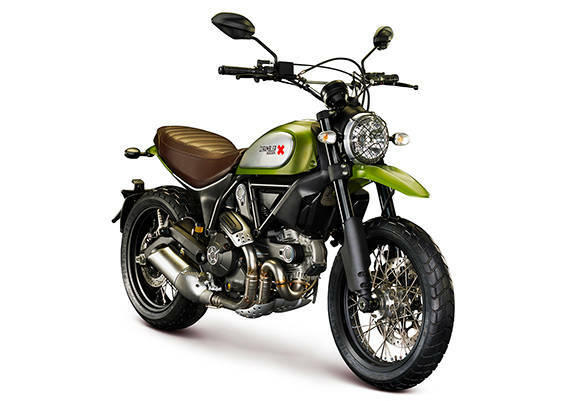 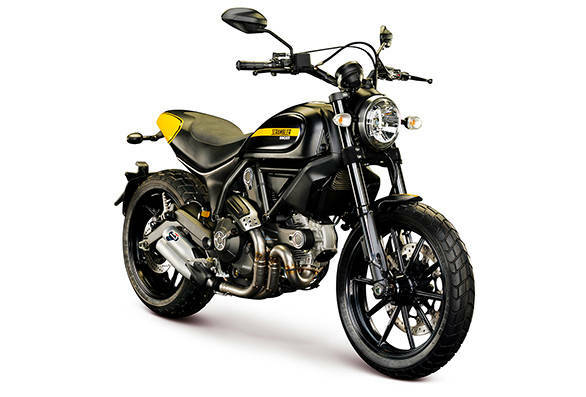 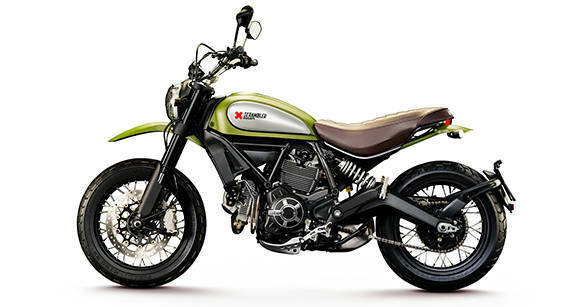 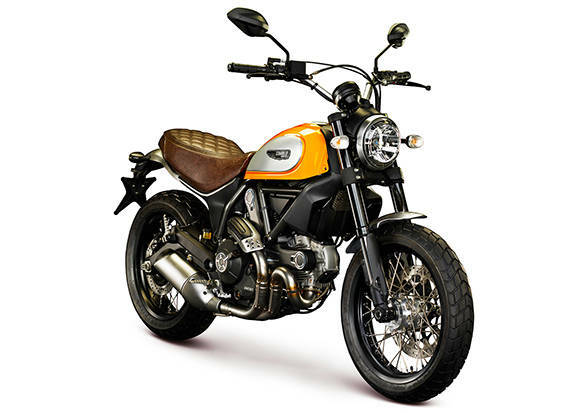 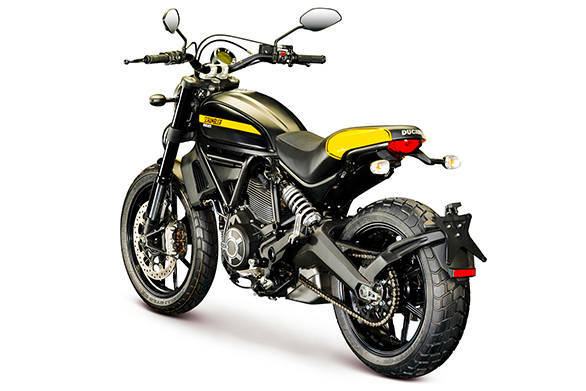 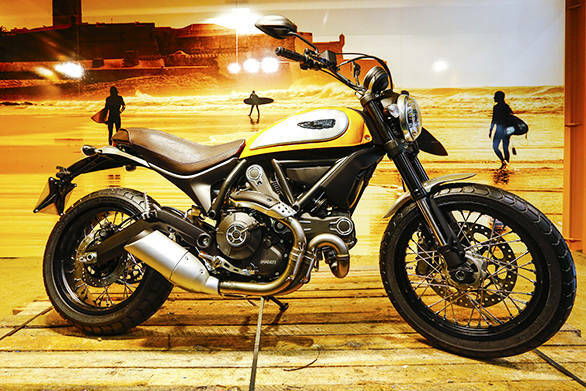 After much teasing and tantalising over the last few years and having showcased the bike to a special selection of employees and enthusiasts at the World Ducati Week 2014, the Italian motorcycle manufacturer unveiled the Scrambler at the 2014 Intermot in Cologne, Germany. 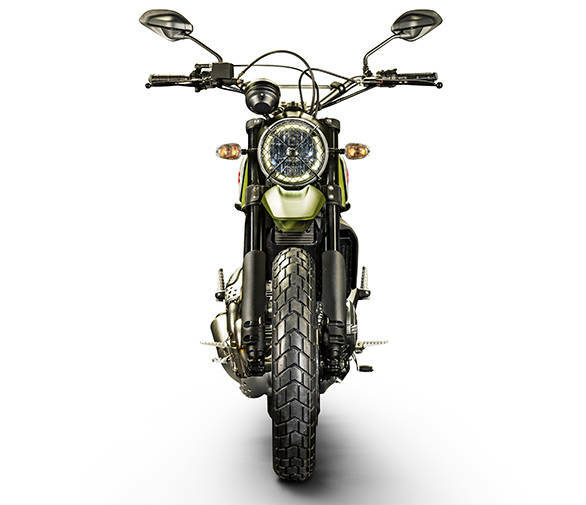 The Scrambler is a universally used term for bikes capable of crossing trails and fire roads while being completely street legal. 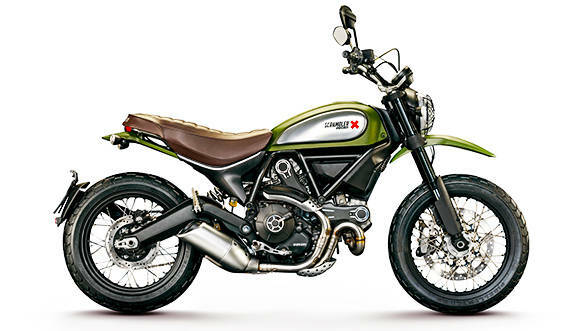 Ducati's take on this style of motorcycle comes in four variants  Icon, Urban Enduro, Full Throttle and Classic. 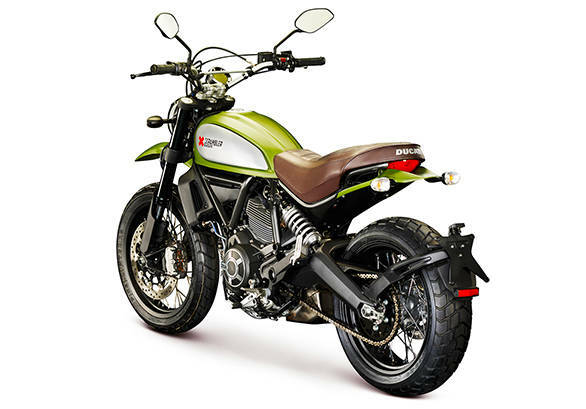 All four trims are powered by an oil cooled L-twin two-valve 803cc engine. 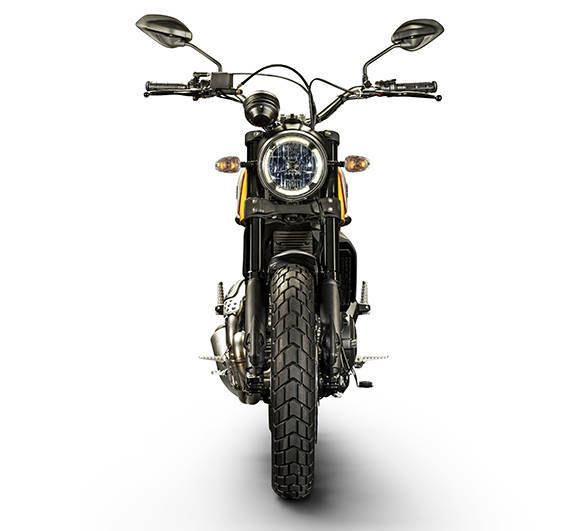 Scroll down to get a good look at the motorcycles. 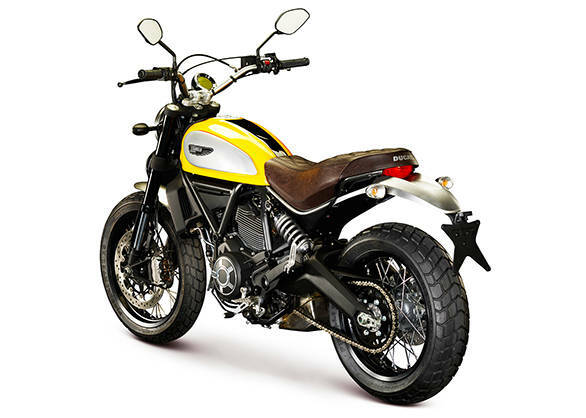 The Scrambler Icon comes in a choice of two colours - this one is called 62 Yellow . . .